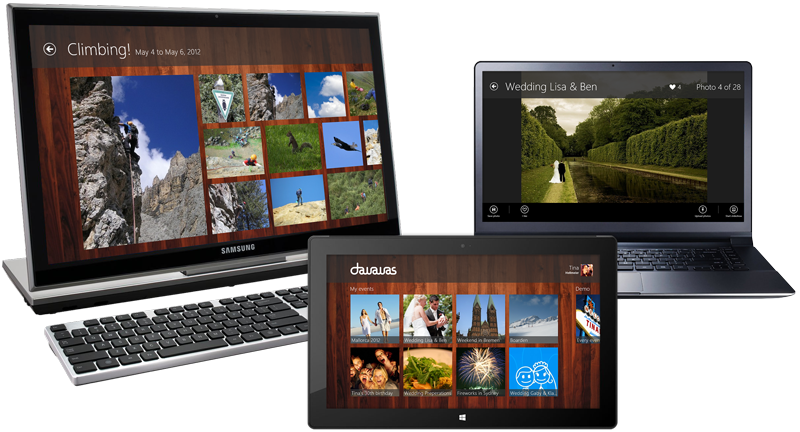 Your photos are available everywhere with the dawawas app for Windows 8. Download now from the Windows 8 App Store and log in with your dawawas account. Upload photos from your Notebook or Microsoft Surface an share them with your friends.